Today I have been given special permission again from True Woman to share an applicable post with you from another Carrie- Carrie Ward (originally posted on the True Woman site) about reading God’s Word with your children. 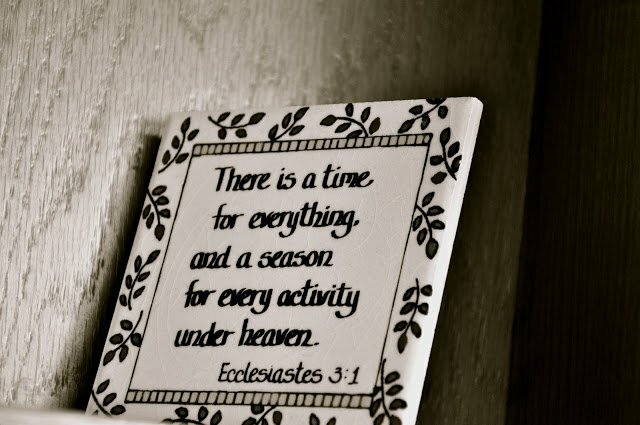 This year, my husband and I began reading the Chronological Bible as a family. I wish I could say we have never missed a day, but that is far from true. But, what we have seen is, even when the kids act up and do not seem to be listening or interested- they often talk about things they have learned later on; much to our delight. Enjoy this post by Carrie and go check out the valuable resources at True Woman’s site (you can also order Carrie’s book there). your grasp? Have you started and stopped more times than you can count? That’s part of the message of my book, Together: Growing Appetites for God. I wasn’t a fast reader. I tended toward the undisciplined side of life. And . . . I was busy! At that point I was mothering three small children. How could I possibly have time to become a student of the Word? Then God gave me an idea: Read the Bible with your kids. Now, almost eleven years later, we’ve just completed our third reading of Scripture. This time my urge to read the Bible was motivated by a desire to get to know God rather than by guilt. Also, this time I had company. the lives of my kids. God loves me. He does not give up on His children. God speaks through His Word (to adults and children). His Word is living and active. My kids, at a very young age, can understand far more of the Bible than I would have thought. And it’s important to teach our children all of God’s Word. make this happen . . . and so do you. 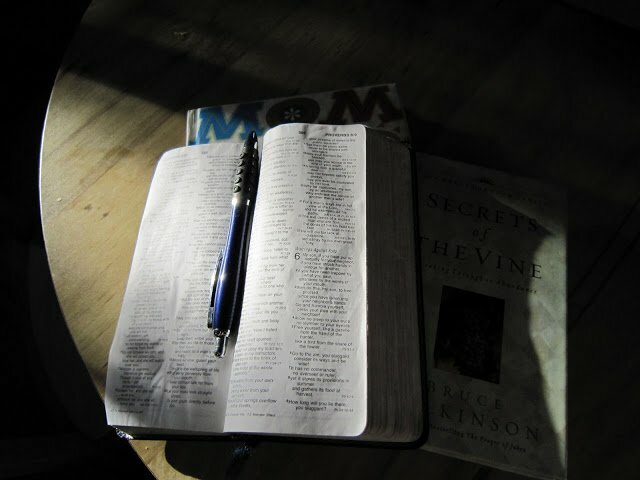 Imagine, with me, a generation of children acquainted with Scripture since childhood (Deut. 6:7; Ps. 78:4). Envision our kids learning what it means to rightly fear the Lord (Deut. 31:12-13; Prov. 1:7). Imagine them encountering the Word that is able to bring them to faith (John 1:1-5; 2 Tim. 3:15; Rom. 10:17). Join me, please, in reaching the next generation with the living and active Word of God (Heb. 4:12). Carrie has been married for nearly twenty years to Wes Ward, Sr. Director of Media at Revive Our Hearts. 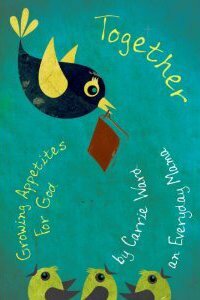 She’s a stay-at-home mom to their four children, and the author of Together: Growing Appetites for God (April 2012). Check out her fun stuff for everyday moms at AnEverydayMama.com. 1. Have you read through the Bible (the whole way through)? I dare you! 2. What is one practical way that you can get more of the Bible into your, and your kids’, daily life? accountability and they will learn it too). I love this book! I too started to read the Bible to my 3 year old twins and have reaped the benifits. Both have been inspired by the Lord to accept Him as their own personal savior. The power of God's Holy word is truely breath taking. My husband and I also feel it is so important to have at least one meal together as a family. We have decided to incorporate scripture reading/devotional with that meal. It is fun to watch the kids process what is being said and hear their questions as they understand the Word of God and begin to apply it.